Just when we think that the worst of the winter is over and we can finally enjoy safer driving conditions, we are faced with risks resulting from the changing weather. When you venture out in the spring, keep these common dangers in mind. The cold weather, snow, and salt on the roads can cause significant damage in just a few months. Small holes in the road can become quite large over the winter and, once everything has thawed out, it becomes even more evident just how dangerous they really are. Hitting a pothole can cause you to lose control. It can also cause serious damage to your vehicle. Pay close attention to the road and look out for such dangers. When and ice are melting, you can expect excess water on the roads. It will take time for the water to filter away and, no matter the temperatures, wet roads are always more dangerous than dry roads for various reasons. Water can conceal potholes, and if you happen to hit a large puddle and splash another driver, it can result in them losing control over their vehicle. Therefore, be careful and considerate of other road users too. As the snow melts, be sure to take a moment to inspect your tires well. Make sure that they are in good condition. If they are excessively worn, they may cause you to lose control when you encounter a large puddle. Reduce your speed and always keep a safe distance between yourself and the vehicle in front of you. It’s not only water that can cause you to slip and slide along the road. Half melted snow is one of the dangers people dislike about winter. Slush is both frozen and wet, not to mention extra slippery! If you spot slush in the middle of the road or even on the side of the road, proceed with caution. Slush can also accumulate on your windshield therefore, if your windshield wipers cannot clear it away completely, you should pull over to clear it off yourself before you continue driving. Yes, black ice is still a concern, even as winter winds down. Although snow and ice tend to melt during the day, overnight, when temperatures drop again, the water freezes. Since the roads are often wet, it makes black ice even more difficult to detect. During winter’s end early in the morning is probably one of the more dangerous times for driving. 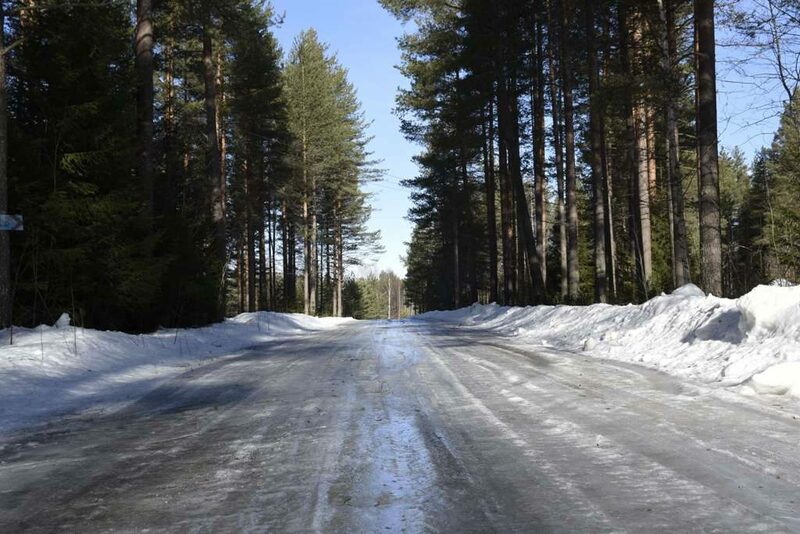 It’s also important to note that when there is more traffic, there is a lesser the chance of black ice, but if If you are driving along a road with minimal traffic each day, black ice can form whenever it’s cold enough for water to freeze on the road. Bridges and lower lying areas are usually more prone to black ice but, all the same, it’s best to be cautious no matter where you are driving. Reduce your speed and keep some extra distance between yourself and other road users. 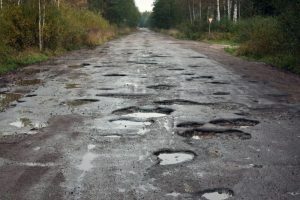 Just as the winter takes its toll on the roads, it can also cause significant wear and tear on your vehicle. This is why it is so important to inspect your vehicle before winter arrives. Once the worst of the weather is over, it’s time to give your car a thorough check once again to make sure that everything is in order. Check all of your fluids, inspect your tires and have a technician check your suspension and other important mechanical parts too. Remember, if you find that your car struggles to start, it might be time to replace your battery. During cold weather, your car battery loses its charge faster than during warmer weather. Have a technician check your battery and your alternator. If your alternator is faulty, your battery will not recharge while the motor is running and, even if you replace the battery. In that case it won’t be long before the new battery fails you too. As for your tires, you should make sure that you find out when you are permitted to switch from winter to summer tires. Remember to also use your common sense too because even if you technically can change your tires, there might be some reasons why you might not want to wait. The slush and ice risks discussed above are reason enough to hang on to those winter tires just a little bit longer. Provided that your winter tires aren’t damaged or severely worn, there is no need to change them in the very first few weeks of spring. Once you have addressed both mechanical and maintenance issues, don’t forget to give your car a good wash! It might sound trivial but all that snow, ice, and salt can really do a number on your paint job. So, treat your car to some much-needed pampering to thank it for getting you through the worst weather of the year! By taking the right driving and vehicle maintenance steps, you will make every trip that much safer no matter the weather! To avoid any unnecessary and high repair costs, make sure that your vehicle is covered by the right warranty. Call A-Protect Warranty at 1-866-660-6444 for coverage designed to suit your needs! This entry was posted in Uncategorized by Larysa. Bookmark the permalink.